Maddy visited the ABC 774 Radio Studios late last week to tell BabyTalk presenter, Penny Johnston all about the project! ABC Babytalk is all about the babies and their parents, and frequently explores all the elements of parenthood that "aren't in the brochure"! 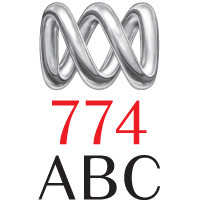 You can listen in to Babytalk on Thursdays on ABC 774 Local Radio or visit the podcast page!